You may not be surprised to learn that most people in the comic business grew up reading comic books. However, you might be interested in knowing what they were reading. Here’s a look at “Famous Fanmail”! Jim Rohn is an indy creator best known for the Holo Brothers. 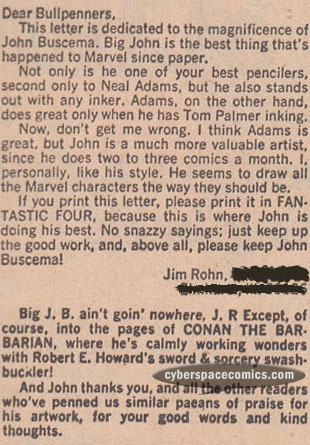 He got a letter printed in Fantastic Four #134 (cover date – May 1973), praising John Buscema’s art. Swiped: Comic Book Cover Swipes Exposed!